Despite a history dating back to the 1800s, the 1980s is the decade when poker became more commonly played in the home. This is often linked to the fact that the game first televised in the late '70s and early '80s and then popularized by TV shows such as Star Trek: The Next Generation. 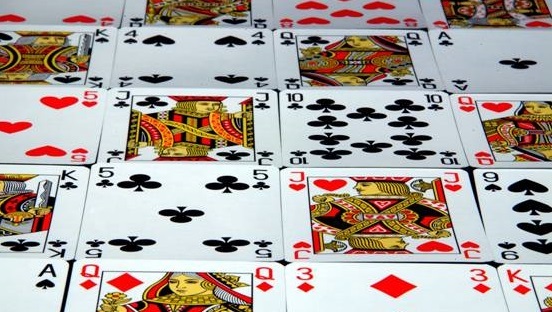 In the 1980 World Series of Poker (WSOP) there were 73 main event entrants. By 1989, this amount had increased by more than one hundred which alone shows the growth in poker’s popularity during the '80s. The decade also brought us some of the biggest poker players of our time who are still considered legendary. Let’s take a look at a few of the many remarkable poker heroes of the '80s. Many consider Stu Ungar as the greatest poker player of all time and it was in 1980 that ‘The Kid’ first entered the WSOP tournament. It quickly became apparent that Ungar was no ordinary player and at just 26, he won the tournament making him the youngest player to do so. Stu followed up his win with a second in 1981, and later in 1997. Mike Sexton moved to Nevada in 1985 to pursue his poker dream and won his first WSOP bracelet in 1989. The most famous poker commentator on the planet later went on to be inducted in the Poker Hall of Fame in 2009 and recently became the Chairman of online card room partypoker. Nicknamed ‘Texas Dolly’, Brunson has earned 10 WSOP bracelets in his poker career so far, winning the WSOP championship four years in a row and also a runner up to Stu Ungar in 1980. He passed on his love for poker to his son Todd and his daughter Pamela, who have both played in the WSOP championships. Doyle shows no sign of slowing down even at the age of 84! In 1987 Chan was the first winner of the WSOP to be born outside of the United States and repeated his title the year after! As well as being one of the most well known poker players in history, he owns a fast-food restaurant in Las Vegas and has written for Card Player magazine. ‘The Poker Brat’ won his first WSOP championship in 1989 at the age of 24, knocking the previous record holder for the youngest winner, Stu Ungar, off the spot. Since then he’s gone on to amass a record breaking 14 bracelets, ahead of Doyle Brunson, Johnny Chan and Phil Ivey who are joint second with 10.